We are a Controlled Goods Approved company, approved by the Government of Canada. Our Defense sector experience includes maintenance and heavy component replacement for Canadian Navy vessels. We have also built precision humidity controlled Cargo vessels for transporting large weapons for the Canadian Military. Maritime Hydraulic has also built large cylinders for the launch tower for the Antares Rocket. 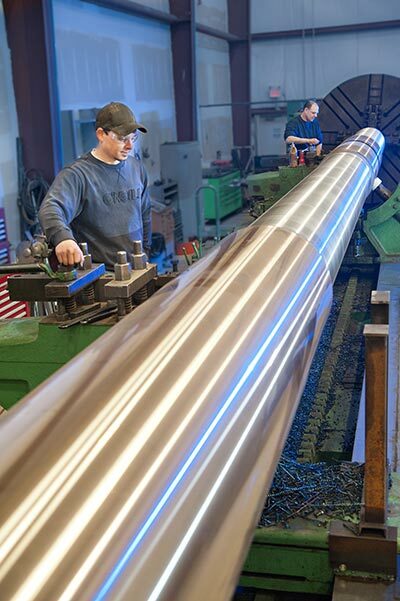 Final machining/polishing of a 30 ton, 50’ long propeller shaft utilized in a Canadian Navel Vessel. 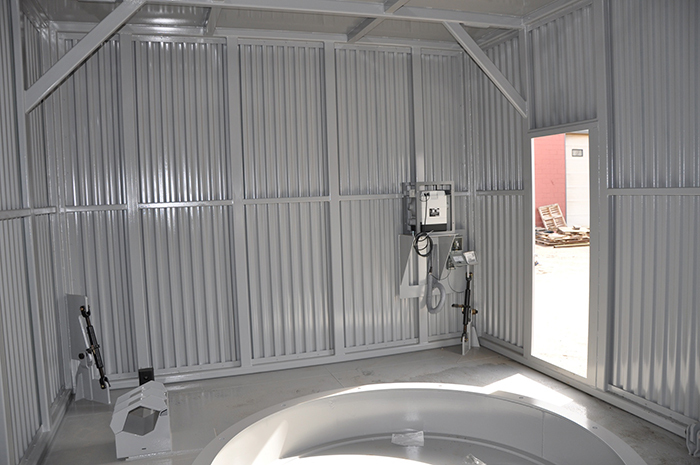 Re-usable shipping container for military cannons, utilized by the Canadian Armed Forces. 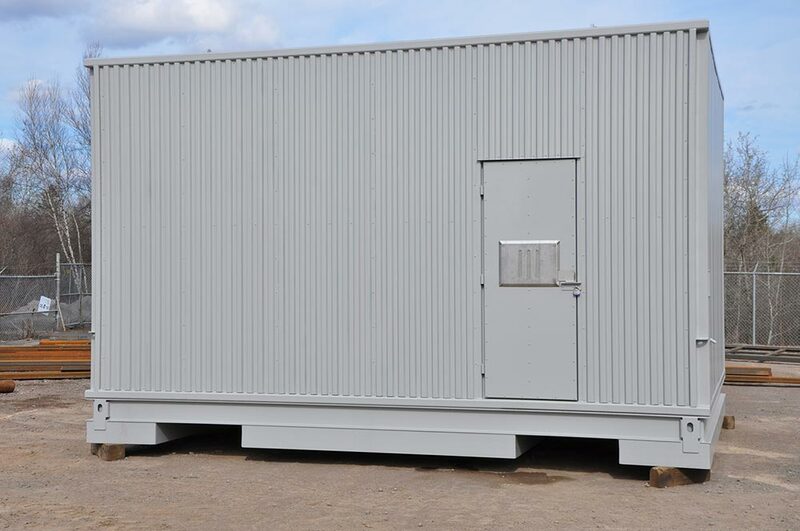 This containment system provides a secure, climate controlled environment for shipping and storage for military cannons worldwide. 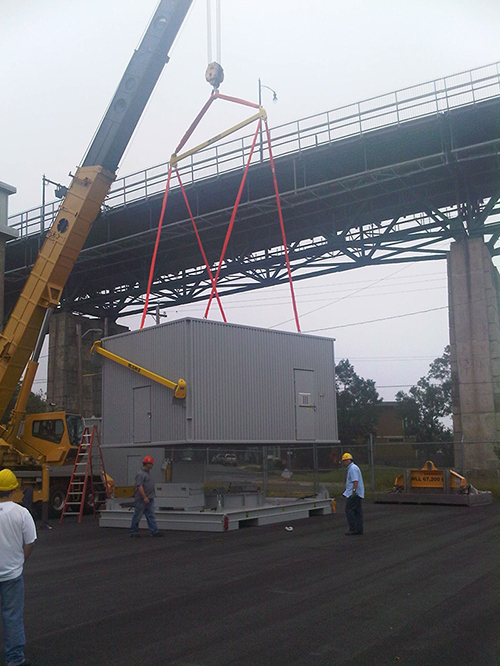 These are humidity controlled removable top shipping containers designed to transport the Bofors 57mm Mark 3 Naval Gun. This job was done in early 2011 for the Canadian Navy. Many or our previous designs can easily be adapted and applied to new and existing defense technology/equipment with our full confidentiality.